Dr. Chastain covers the doctrine of Child security and security of the believer in this portion of the debate. 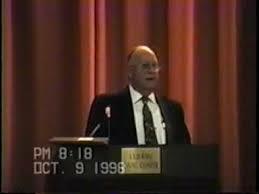 Brother Hoyt Chastain was born May 20, 1914 in Joestown Ga. He passed from this life September 26, 2007 after a life time of service to his Lord. These lectures are part of his legacy that he has left behind for you.